Support for numerous accessories, The padded back cushions, easy to position by sliding, shelves and the hangers; all optional, moving elements that can be fully personalized. Integrated lighting and audio systems both conveniently controllable from smartphone or tablet by means of Bluetooth device. 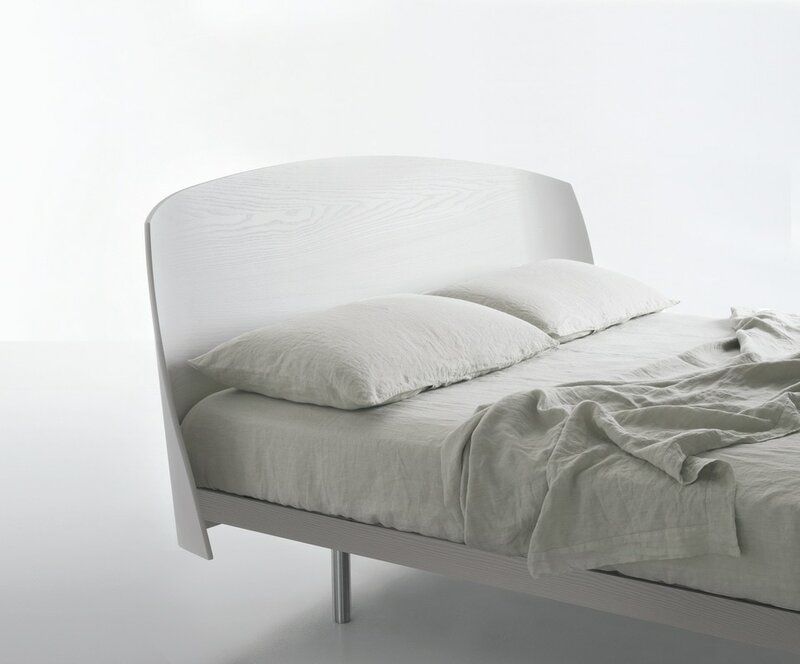 A slight curvature in the wood is enough to design an essential headboard and a handy resting surface. 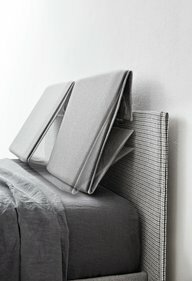 Lightweight, muffled and protective, the headboard is a single sheet of elm or natural wood. 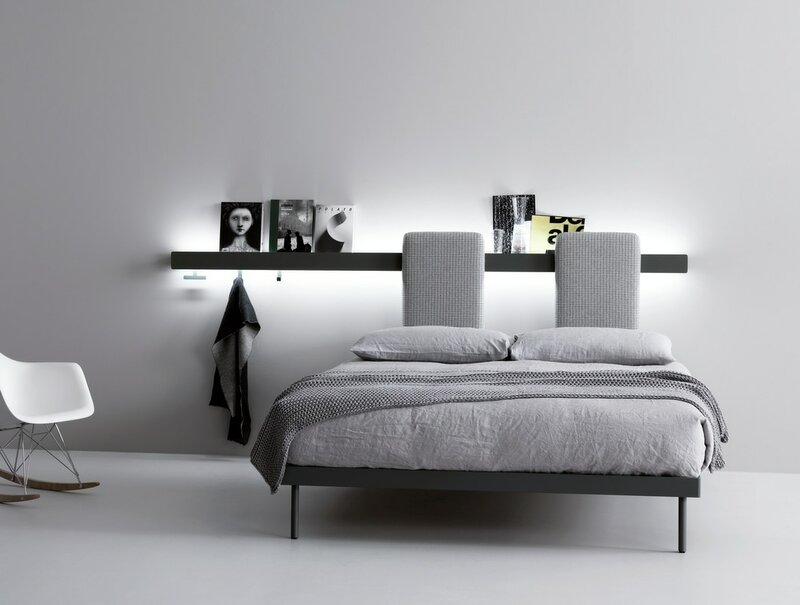 The headboard panel, secured to the wall, integrates the atmosphere lighting and the audio system, controllable by means of Bluetooth device.The bed base is lightweight and easy to move thanks to the two castors. 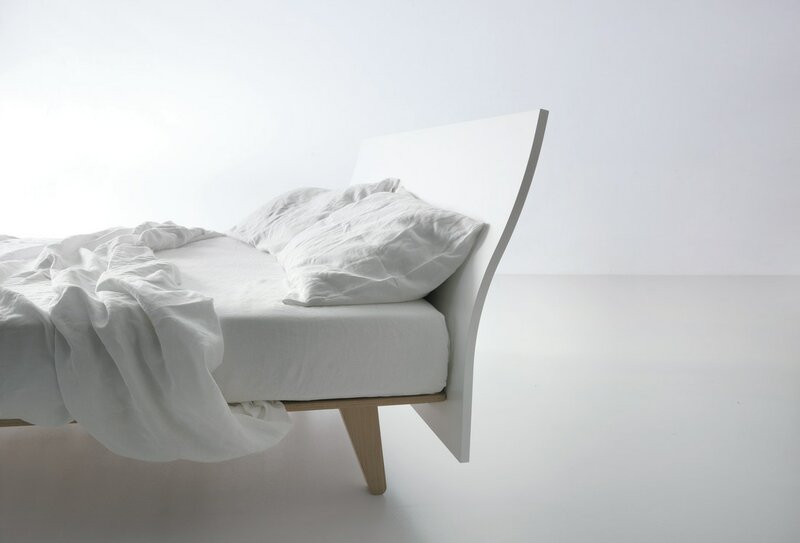 The upholstered headboard widens at the extremities forming two soft protective wings.Continuous comfort with upholstery on the four sides of the base. The headboard panels recline with one very simple movement ensuring a comfortable position for reading a book or watching TV. 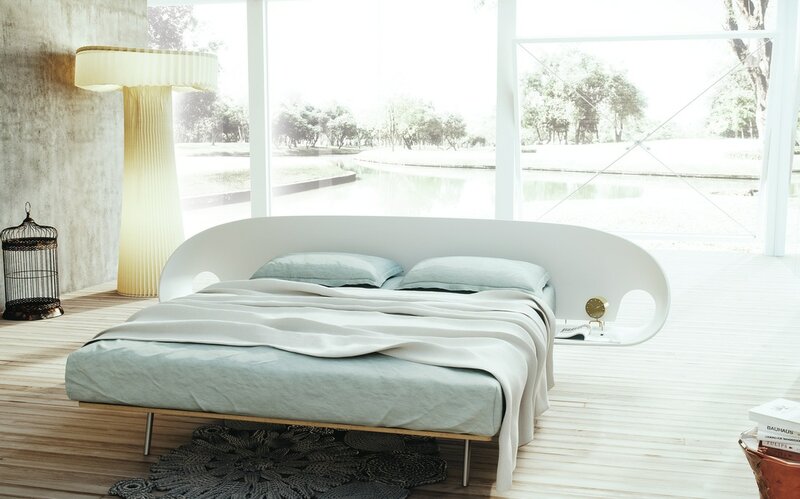 A large wooden headboard winds in a slight curve that integrates the shelves-bedside unit. North-european flavour and made in Italy comfort: a single beech surface supports the body with a system of thrusts and counter thrusts.